One can enjoy some of the most pristine, un-populated beaches in Baja in the vicinity of Todos Santos. Near town one can find beaches for camping, surfing, swimming, skim boarding and surf fishing. Some say that some of the most isolated and beautiful beaches in all Baja are to be found right here. In general, beaches near Todos Santos are accessible. Beaches are without lifeguards or comfort facilities, with the exception of Playa los Cerritos which has a restaurant on the beach. All beaches are perfect for strolling, sunbathing, surf fishing, and whale watching. Watch for surf conditions before swimming as winter surf can create hazardously large waves that are a challenge to get in and out of. There are sea lion rookeries on area rocky outcroppings, so please keep your distance from them. 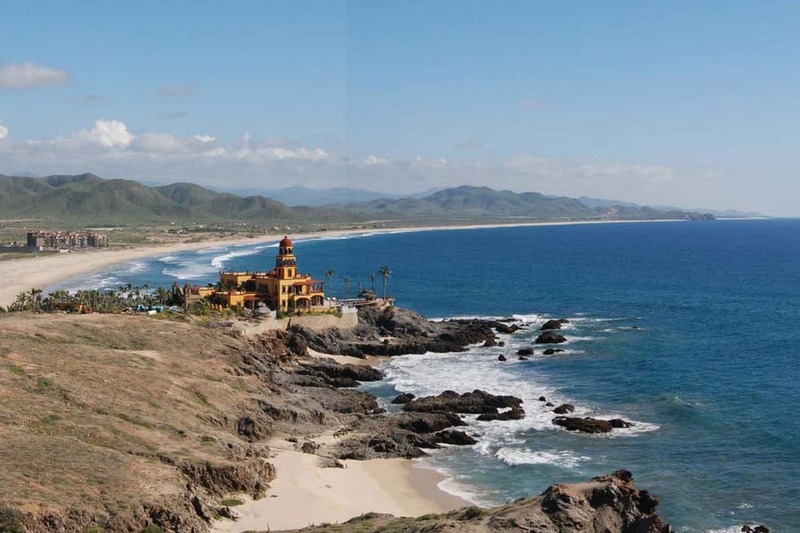 For Todos Santos beach locations and information on each beach, click here. Todos Santos travel is a great way to enjoy the beauty of the area beaches and the tranquility of the area. In Todos Santos, the summers are long, hot, and muggy; the winters are comfortable and dry; and it is partly cloudy year round. Over the course of the year, the temperature typically varies from 63°F to 90°F and is rarely below 59°F or above 93°F. The hot season lasts for 4.2 months, from June 14 to October 21, with an average daily high temperature above 87°F. The hottest day of the year is August 5, with an average high of 90°F and low of 79°F. The cool season lasts for 3.2 months, from December 7 to March 12, with an average daily high temperature below 79°F. The coldest day of the year is February 8, with an average low of 63°F and high of 77°F. Los Cabos International Airport is the closest airport to Todos Santos, and is about 69 miles from Todos Santos. Americans traveling to Mexico must present a valid U.S. passport. Those traveling by sea can present a passport card and valid driver’s license to gain entrance back into the U.S. Permanent legal U.S. residents who hold a I-551 Permanent Resident card are allowed to board flights from Mexico to the U.S. American tourists entering Mexico by plane or traveling farther than the border zone must buy a tourist card. These are also know as an FM-T, and for travelers arriving by air, it’s usually included in the price of the plane ticket. Other travelers can obtain a tourist card from the Mexican border crossings, Mexican tourism offices, the Mexican consulates and most airlines serving Mexico. To find the best prices, go to AirFareWatchDog.com to watch for the best fares to Todos Santos. Loss damage waiver (LDW): Also called collision damage waiver (CDW) or LDW/CDW. This is actually not insurance, but the rental agency’s agreement to waive some of the cost of theft or any damage you inflict on the rental vehicle. This one requires some research and some careful thought. If your own auto policy or credit-card insurance benefits cover collision damage, you can pass on LDW/CDW, but keep some caveats in mind. You are responsible to the rental company for any loss or damage to the vehicle no matter what the cause is or who is at fault. 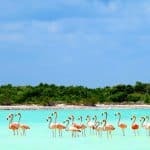 You will be detained until money matters are settled, and if you lack liability coverage, your most memorable vacation sight could include the inside of a Mexican jail until you pay off your obligation. Before you decline LDW/CDW, verify that your auto policy or credit card insurance is valid for rentals in Mexico, and that it includes loss of use. To collect on your credit-card insurance, you must use that card when you rent the car and when you pay the final bill. Carry proof of coverage with you, though rental companies don’t always require it. You must also explicitly decline the offered insurance, which is not possible with companies such as Avis or National, which include LDW/CDW in their rates or bundle it with the required liability. Make sure a copy of the insurance policy is in the glove box and is up to date. If you book online, print out the confirmation and show it when you pick up your car to be sure they don’t try to charge you a higher rate. Try to get your rate quoted in pesos. Prices quoted in dollars will be converted to pesos for payment, usually at more than the going exchange rate. With CarRentals.com, you have flexibility when you reserve your next vehicle, which allows you to build in your own savings. Prepay for your rental and get some of the cheapest rates, or book in advance with no credit card needed—you simply pay at pickup. Want to be notified when prices fall? Set a price drop alert and get an email when prices are low for your location. You can also sign up for our newsletter to get more deals. This is the best restaurant in Todos Santos. The food here wis spectacular and very authentic. It is a small hole in the wall, but it is clean and the service is very good. The staff speaks both Spanish and English. Top notch place with fantastic margaritas. For more information call 52 612 145 0173, or visit them on Facebook at Mi Pueblito. This restaurant location features a romantic farm-to-table setting where the freshness of the ingredients surrounds you as you dine. Dishes are thoughtfully prepared using freshly caught fish from our local waters, organic vegetables grown in their own fields or picked from their farm-to-table setting at the restaurant and carefully selected meats raised in Sonora. The menu ranges from freshly caught and delectably prepared local seafood dishes to a hefty serving of Prime Rib in a rich au jus of its own making, sauteed onions with a baked potato… Join them for a dining experience that features interesting and creative combinations of flavors which are tastefully presented in the heart of Todos Santos. For more information call 52 612 145 0192, or visit them on the web at La Casita. Amazing fresh food. Lucio is a great host. Family friendly! Salsas at table are so tasty! Off the tourist trap Main Street. Very reasonable food and drinks. For more information call 52 612 145 0015, or visit them on Yelp at Santos Pescados. Food is very reasonable, drinks are cheap and strong, and service is great. Salsa has a good flavor and bite to it. Try any of the tacos. For more information visit them on TripAdvisor at Alma & Manny’s. The Restaurant El Gusto! offers Mexican Gourmet Cuisine with an international fusion. Their Chef has the highest of standards regarding freshness and quality. Using the best of local organic produce, meats, and a myriad of the freshest seafood, it just doesn’t get any better in Todos Santos. Whenever possible, they speak Vegetarian well and understand Vegan to a great extent. In between meals, there is a menu with snacks and nibbles available on the whale deck or sunset terrace. Restaurant is part of the boutique hotel Posada La Poza. For more information call 52 612 145 0400, or visit them on the web at El Gusto Restaurant. On the rooftop terrace of the Guaycura Boutique Hotel is the Sky Lounge Bar, where visitors can enjoy incredible sunsets over the Pacific Ocean, while combining a refreshing cocktail or a glass of wine with relaxing background music. For more information call 52 612 175 0800, or visit them on the web at Sky Lounge Oasis View Tapas Bar. Great food, great drinks, and great service. Have a margarita which are strong and delicious, and sit back and enjoy. The food is great, service is fun and friendly and you have a great view. For more information call 52 612 145 0073, or visit them on Facebook at Tequila’s Sunrise Bar & Grill. 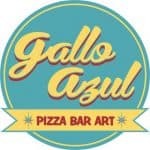 Beer is always cold here, salsa and guacamole made fresh and delicious, and great staff. Also some of the best fish tacos in town. 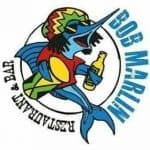 For more information call 52 612 147 9232, or visit them on Facebook at Bob Marlin. Enjoy the romantic farm-to-table setting. The service is great. The staff friendly, attentive and extremely polite. For more information call 52 612 145 0192, or visit them on the web at La Casita. At Black Sheep Motorsports they pride ourselves on standing out from the crowd! Their mission is to give our customers a unique Baja experience, they offer customizable rental options and unlimited riders, making it easy for groups big and small to share the adventure. 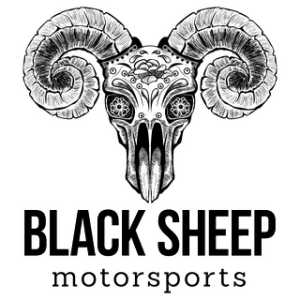 For more information call 52 612 134 6161, or visit them on the web at Black Sheep Motor Sports. Adventure 19 are Baja adventure specializes with 30 years experience in Todos Santos and over 20 years experience sending travelers on amazing Eco-excursions. 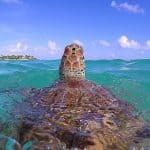 OTheir team of experts have developed the most unique adventures to make your travels to Baja the most memorable of your life. Whether it be the Whale Sharks of La Paz, sunset horseback adventures, local or Cabo fishing, Mag Bay whale watching or trips to the Sierra. For more information call 52 612 145 0651, or visit them on the web at Adventure 19. When was the last time you did something for the first time? Climb aboard a LocoMotion bike and cruise by some of the city’s famous tourist attractions. Your legs will power the bike through an unforgettable tour filled with history, culture, and fun! The LocoMotion bikes are the best in their game. They put a lot of thought and love into how these bikes would look and feel to their riders. Besides being top-of-the-line when it comes to safety, their bikes are tricked out with some awesome features to make the experience as epic (and comfortable) as possible. For more information call 52 612 145 2024, or visit them on the web at Loco Motion. They offer you comfort in a new kind of tourism where you meet the people of Mexico and the destination. Their Todos Santos Guided Tours are made up of small groups. They start with a welcome dinner and invite some of their friends to meet you. Almost every activity they have to offer you is led by someone in their local group. You will also meet the artists, fisherman, ranchers, artisans and many other Mexican people in the Baja California Sur, not just waiters or staff at all Inclusives, on cruise ships or on bus tours. They design custom adventure tours in the Mexican Baja with grey whales, whale sharks, ranchers, our friends, and more! 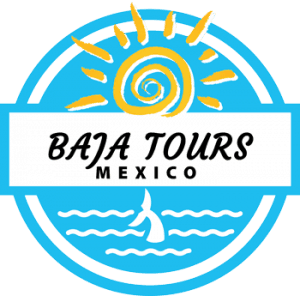 For more information call 52 612 147 8387, or visit them on the web at Baja Tours Mexico. 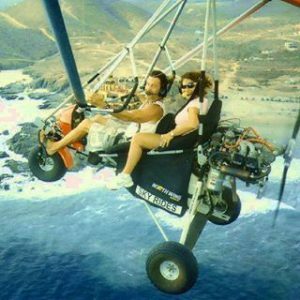 Sky rides along the coast to Punto Lobos and Cerritos, Aerial Photography, whale watching & lesson available. See pods of California grey whales from aerial views like you have never seen them before! Whales can be seen off the coast from November through March. 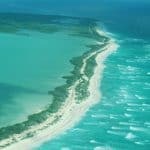 Enjoy East Cape Tours cross the Baja and fly over Sierra de la Laguna to La Paz, and fly South to Cabo. Get flying lessons from a certified BFI (Basic Flight Instructor). This bird is a 2-seat trainer that is perfect for learning to fly in 15-25 hours of personal dual instruction. For a fun activity, this is hard to beat! For more information call 52 612 141-7026, or visit them on the Facebook at Baja Sky Tours. Amid a natural garden, Hacienda Todos Los Santos features an outdoor swimming pool and Wi-Fi connection free of charge. The hotel is 10 minutes’ drive from San Pedro de las Palmas beach. The hotel also offers massage services. In the downtown area, guests will be able to find a variety of restaurants to enjoy, as well as many art galleries that sell the art work of the local artists, like paintings and sculptures. This property also has one of the top-rated locations in Todos Santos. For more information, pricing, or to reserve your room, visit Hacienda Todos Los Santos. Showcasing an outdoor pool and terrace, Hotel San Cristobal is located in Todos Santos in the region of Baja California Sur. Guests can enjoy the on-site bar. Free WiFi is provided throughout the property and free private parking is available on site. This property also has one of the top-rated locations in Todos Santos. For more information, pricing, or to reserve your room, visit Hotel San Cristobal. Hotel Posada la Poza has a seawater outdoor pool and hot tub, and offers complimentary coffee service to its guests every morning on the grounds. The hotel also offers American-style breakfast free of charge. The on-site restaurant specializes in Mexican cuisine, but also serves international-style dishes. Just one mile from Posada la Poza is Todos los Santos village, where other food options are available. The hotel also has a terrace, private beach area and a massage services. 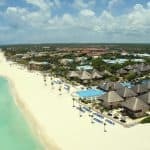 Plus, Posada la Poza may organize tours to Todos los Santos, Los Cabos and La Paz. For more information, pricing, or to reserve your room, visit Hotel Posada La Poza. 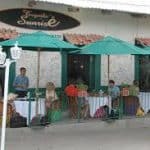 In central Todos Los Santos, The Todos Santos Inn has free Wi-Fi, an outdoor swimming pool and a restaurant that serves classic Mexican cuisine. The hotel has complimentary breakfast for all guests at Todos Santos Inn. The rooms feature a Spanish colonial-style décor with talavera ceramic sinks and tile floors. They offer air conditioning, and some have a balcony or a patio with garden views. For more information, pricing, or to reserve your room, visit The Todos Santos Inn. What a wonderful website Leahrae! It reminds me of the wonderful Floridian beaches, campgrounds and lifestyle my wife and I used to enjoy. I can’t wait to see more of you excellent articles. Just the look of the beach picture made me want to go there for vacation already! When it comes to travel destination, If you can post more pictures of the beach, the suroundings, the lifestyles, that would be better. One picture is just not enough. The restaurant, bars and hotel, on the other hand, can you share more pictures, and bigger ones? I had to zoom in just to look at them. Some pictures about their best cocktails and food will definitely make me drool! I do have more pictures Wilson on the link with the listings of all the beaches, and several pictures 🙂 If you go to the Sea of Cortez beaches, you can see all the beautiful beach choices there. Come back when you are ready to plan! Wow, you really put in the work to give your readers a full spectrum of activities of the Todos Santos beaches and the surrounding area. This is a very formal article, have you gone there, and if so, what was your experience like? It is really awesome that you compile all of these places together with a wide range of things to do. I would have to visit Todos Santos in November or December, as the hot and muggy is too much for me. I love beaches and I would love to travel to enjoy not only the beaches but also the sceneries. Todos Santos seems like a good place to visit but I wouldn’t want to go there during the summer seasons as it would be too hot. Must be great to spend the Christmas holidays there. I also want to try some special Mexican foods, other than tacos. By the way, I’m from Asia and I am just wondering what’s the most convenient way to visit Todos Santos and how many days will be stamped on my passport. Thank you for your post. I love the beach. I currently live in Destin, FL and I go to the beach as often as I can. Great use of hotel information. I work at a hotel so I can really understand all the great information that is there. It is important to let people know that you can get some good deals if you know where to look and the questions to ask. Awesome! I live at Clearwater Beach, so I know about going to the beach as often as possible 🙂 I also love the Baja, and Todos Santos is a very nice alternative to the crowded Cabo. Please let me know if you need any other information. Thanks for visiting! You would still fly into Los Cabos 🙂 That is the hub of the Baja, and all flights going to the Baja go to Los Cabos. It is actually pretty reasonable to fly in and out of. You would absolutely love the area. Let me know if you have any other questions. Todos Santos seems to be the kind of place my family and I would like: laid back, sunny and surf friendly! I’ll definitely think about including it in our next travel plans and – of course – will make sure to pay attention to the car rental details. I’m assuming public transportation is not a good option. Am I right? Yes, Todos Santos is very laid back and friendly! Yes, there is actually ample public transportation that is safe and economical. You can also take a taxi anywhere for a set fee. No surprises when you go to pay your fare, which is nice. I rented a car one time, the rest (too many too count) I just used taxis and buses. I absolutely love Mexico! One of my favorite places to go to the beach (besides Hawaii) because of its carefree feel. I have never been here (only been to Cancun and family has been to Cabo) but I was wondering if Todos Santos is on the side of the Gulf or the Pacific? Also, have you heard anything about which is the best restaurant to eat there? Ok, Todos Santos is a very short drive from Cabo which is on the southern most tip of the Baja. I love it here too for the laid back feel. What I have listed for restaurants, those are definitely the best of the best. Stick to them and you won’t go wrong! This looks like a beautiful place to visit and it does not look like a place overly crowded with tourists. It would be a great place to spend a relaxing quiet vacation in the sun by the sea. Seems like a place definitely worth checking out for some quality R and R.
You are right on both accounts. It is a great little place to vacation, and it is not overly crowded. Go down the highway to Cabo for the crowds. I prefer it here, it’s serene and beautiful. You would definitely enjoy Todos Santos beaches! That coastline looks amazing! 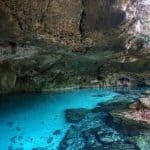 My wife and I have been looking to book a second honeymoon and found this perfect place of Baja. The hacienda todos los santos looks perfect for us,thanks for this. Wow, 5th child! That is so awesome. You would really love it here and it is so close to so many amazing places with so much beauty to see. Please let me know if you have any questions!